For the first time ever, Secret Body Las Vegas will be launching a contest to Win a free treatment of Coolsulpting. Henderson, NV, October 08, 2017 --(PR.com)-- Secret Body Henderson announces the world’s number one non-invasive fat removal treatment CoolSculpting will be featured at a free CoolSculpting event, open to the public, Saturday, Dec. 9, 2017 from 8 a.m. to 6 p.m. at Secret Body Henderson. 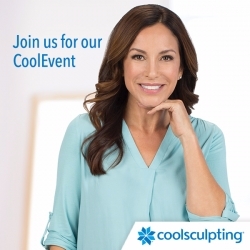 Those who attend can enter to Win a free treatment, qualify for exclusive seminar discounts, as well as enter a drawing to win a CoolSculpting treatment.